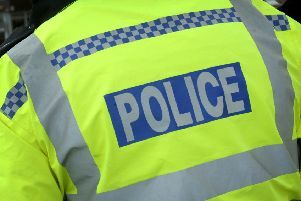 Police in the Billingborough area are investigating a number of crimes reported in recent days. According to PCSO Sandra Brommell of Bourne and Billingborough policing team, a vehicle has been deliberately scratched while it was parked on the road near Stubbs Close, Dyke, around 5.15pm on Friday October 21. (refer to incident 349 of 21/10/16 when calling police on 101). A ground floor window was smashed at a residential property in Middle Street, Rippingale, some time between October 14-21. Police are treating this as an attempted burglary. (Refer to incident 223 of 21/10/16). Sometime during the hours of darkness of October 25-26, ‘joy riders’ have driven on Billingborough playing field causing deep ruts in the grass. (Refer to incident 309 of 26/10/16). A blue Diahatsu Fourtrack was found in a field off Mareham Lane, Aslackby, near the gravel heaps on Friday October 28. This vehicle had been stolen a few hours earlier from the Spalding area. (Refer to incident 118 of 28/10/16). There was an attempt to steal a Mitsubishi Pajero from Brewery Lane, Billingborough at around 3am on on Friday October 28, but this was thwarted when a witness rang 999. However both number plates from a smaller vehicle parked nearby were stolen. (Refer to incident 37 of 28/10/16). If you see a horse box which appears out of place, parked up on a road or track around the Rippingale, Kirkby Underwood and Aslackby areas, call 101 quoting incident 385 of 13/10/18.